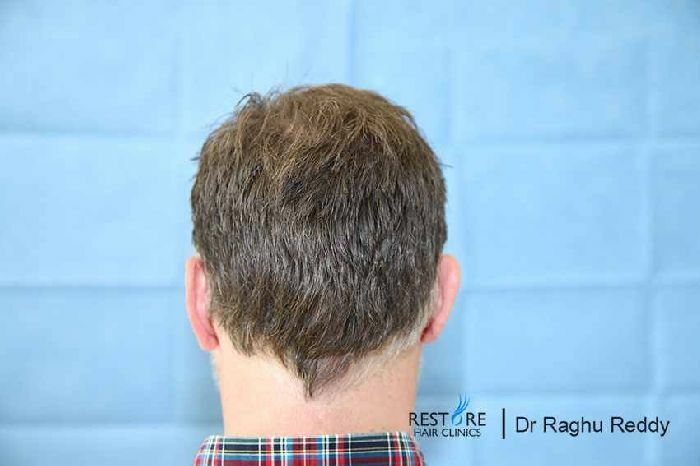 46 year old male presented to us with norwood 3 hairloss pattern . 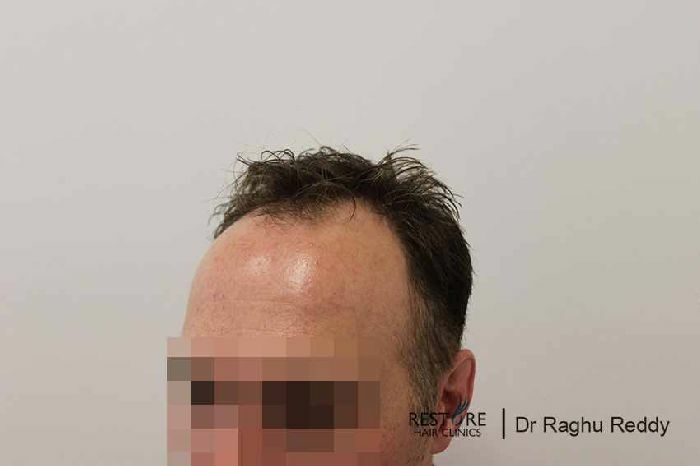 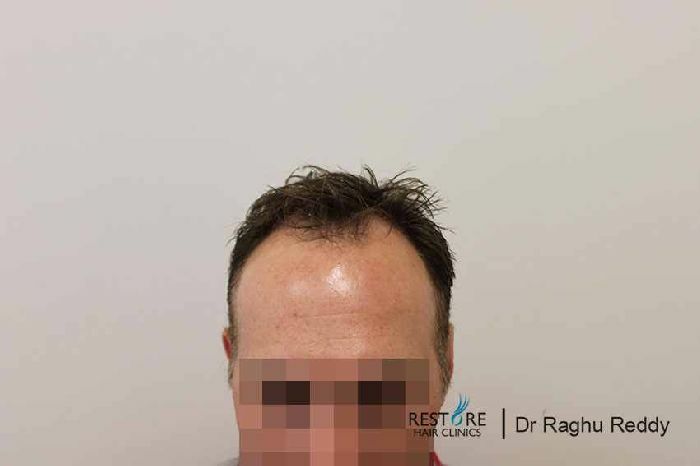 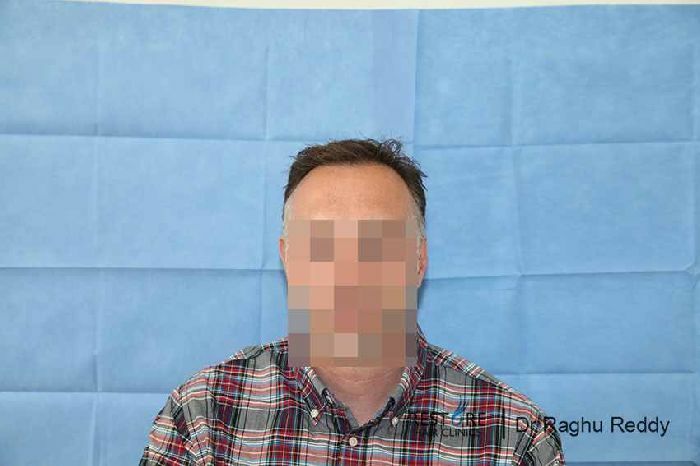 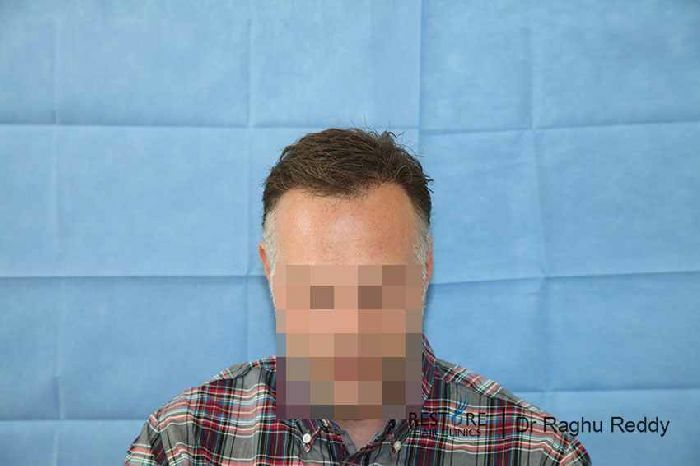 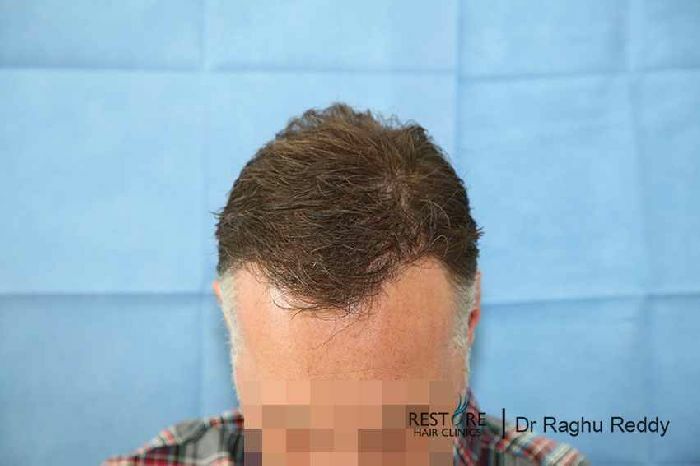 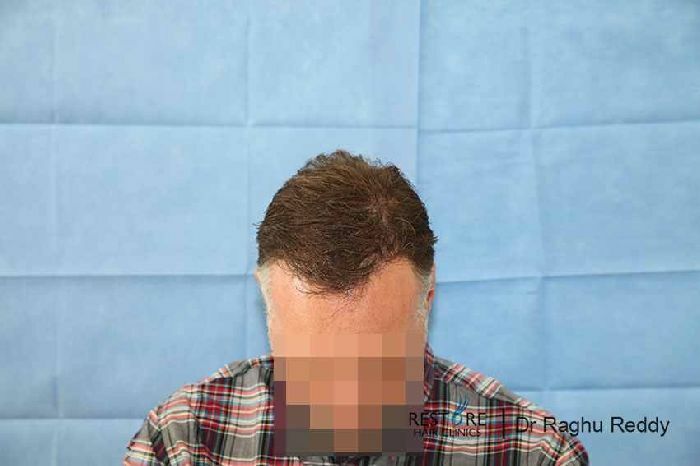 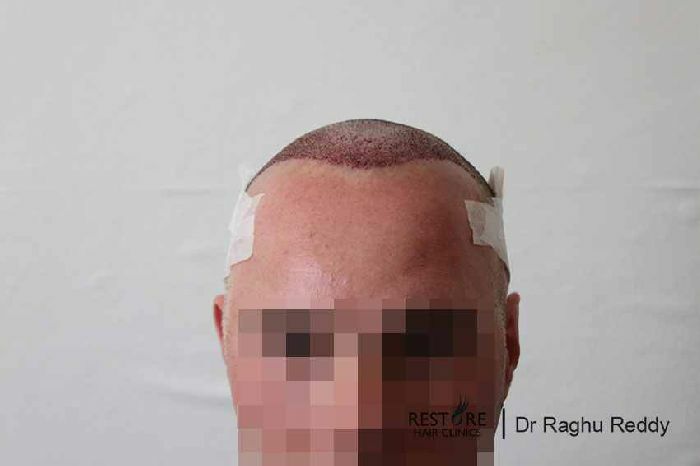 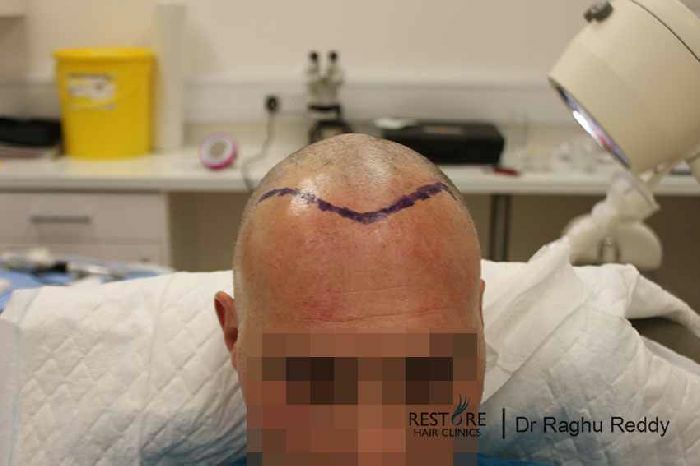 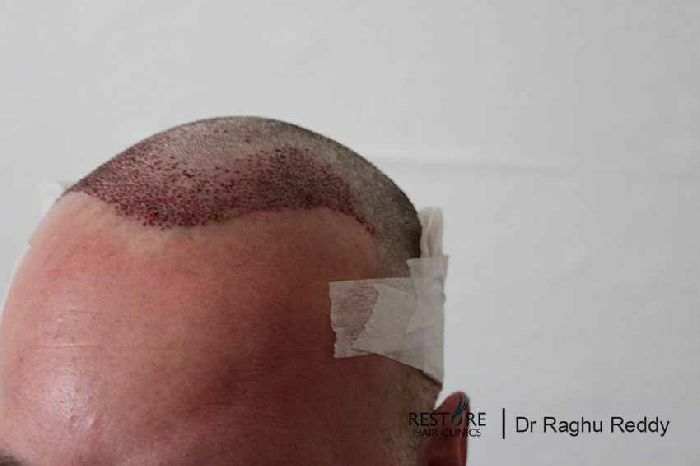 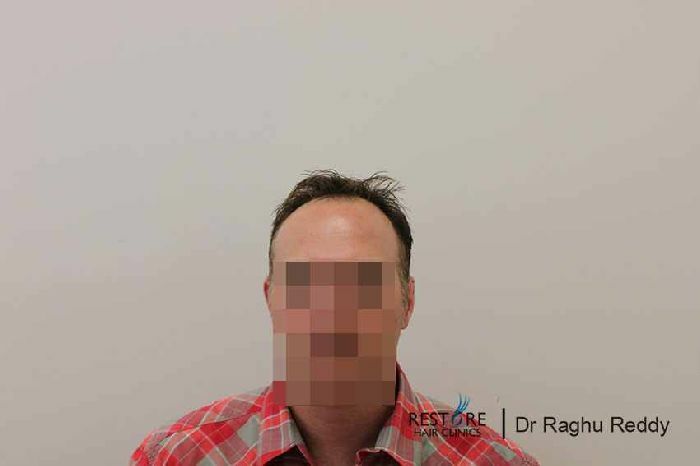 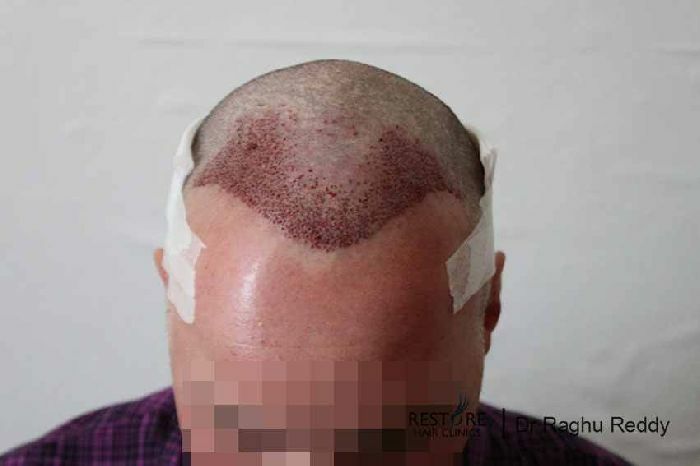 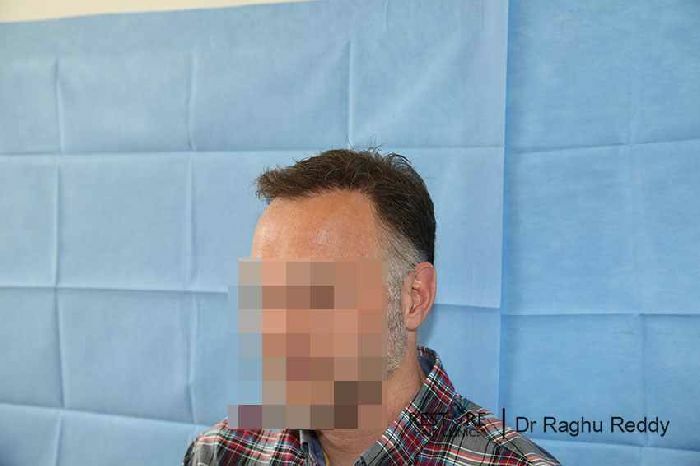 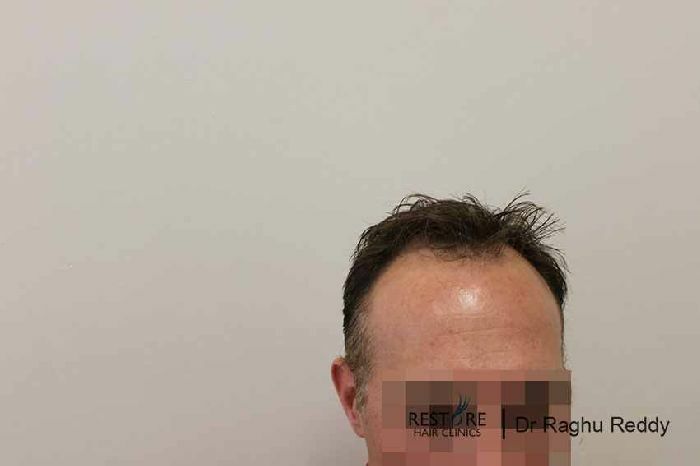 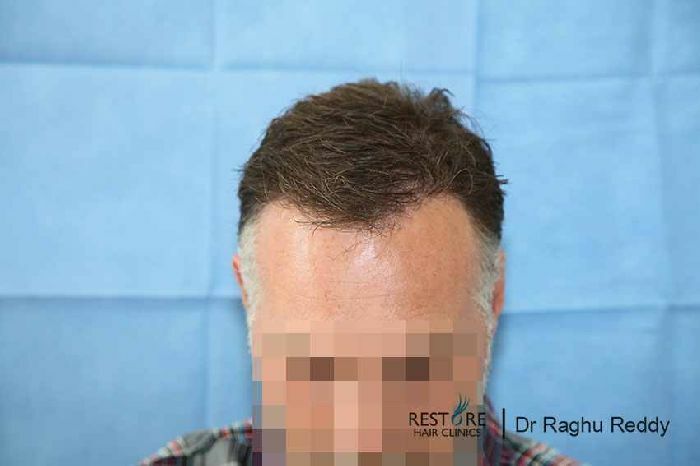 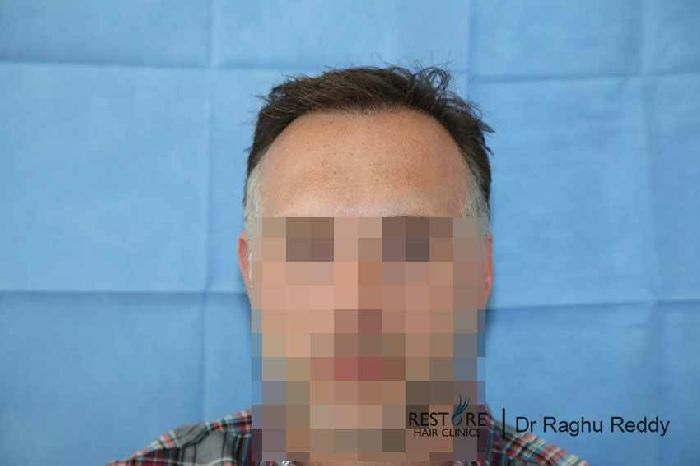 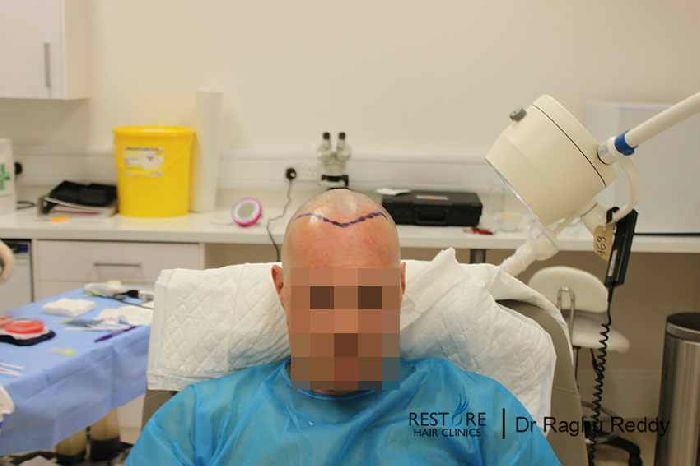 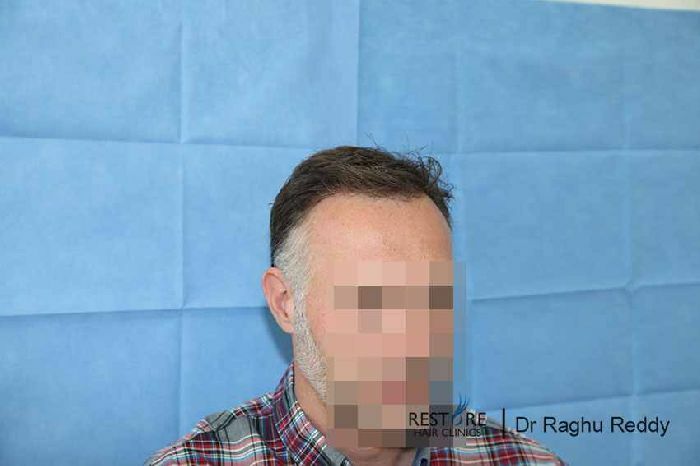 His hairloss was stabilised with propecia and 1266 grafts were transferred using fue technique. 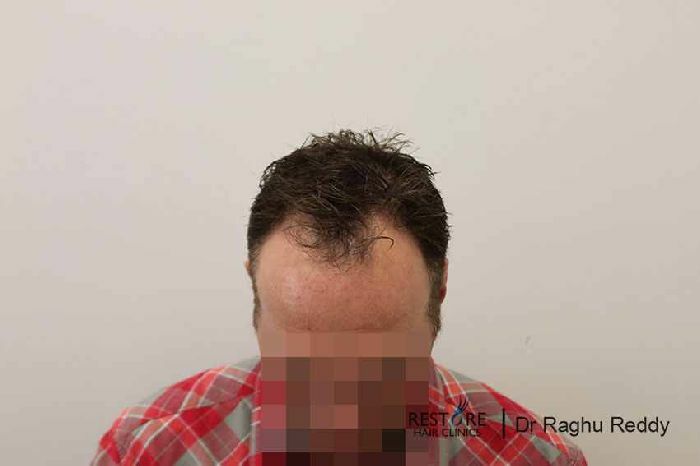 Attached are his pics 12m after.